Creative Riverina is available to you on the terms and conditions set in this agreement. You must only use Creative Riverina in accordance with this agreement. By using Creative Riverina, you have accepted the terms and conditions in this agreement and agree to be bound by it.  We may change the website terms from time to time by publishing an updated version to Creative Riverina. By continuing to use the site, you will be deemed to have accepted the updated site terms and agree to be bound by them. You are solely responsible for the use of your user account and you must ensure that you keep your password secure. You will be responsible for any access to Creative Riverina using your registration details, even if that access is by another person. We reserve the right to modify, discontinue or disable all or part of Creative Riverina, on either a permanent or temporary basis, at any time. We will endeavor to provide you with prior notice of any modifications via email, however you accept it may not always be possible to provide prior notice. We may suspend or terminate your access to Creative Riverina at any time if you breach the terms of this agreement. You must not post, transmit to or via Creative Riverina any information or content which breaches any laws or regulations, infringes a third party’s rights or privacy or is offensive or contrary to any relevant standards or codes, including generally accepted community standards and those held by the Eastern Riverina Arts organisation. You must not transmit any advertising, promotional materials or similar materials without our permission. -false or misleading, abusive, harassing, defamatory, offensive, humiliating, vulgar, obscene, pornographic, racist, discriminatory or invasive of another’s privacy. -violates the security of Creative Riverina or accesses any other unauthorized areas of the site. To the maximum extent permitted by law, we do not represent or warrant that the content on Creative Riverina is accurate, reliable, suitable or complete. In particular, although we use reasonable care and skill in operating Creative Riverina, we cannot guarantee that the site will be continuously available or virus free. Where any statute implies any term into your use of any agreement is arising out of accessing Creative Riverina and that statute prohibits exclusion of that term, then that term is included. If and to the extent permitted by the statute, however, our liability for any breach of such term is limited to the resupply of services. To the maximum extent permitted by law, we are not liable for damage or loss of any kind arising in connection with your access to, or use of, or inability to use Creative Riverina. You are not liable to us for any loss to the extent that is caused by us. Creative Riverina may contain links to third party websites. The links are provided for your convenience only, and do not indicate, expressly or impliedly, any endorsement by us of the sites or the information, products or services provided at those sites. You access those sites and use the information made available at those sites solely at your own risk. You must not do anything which breaches or interferes with our and the other users of Creative Riverina’s intellectual property rights. All copyright and other intellectual property rights subsisting in Creative Riverina and the material on Creative Riverina (including, without limitation, the software, design, text and graphics, and the selection and layout of Creative Riverina) are owned by or licensed to us and protected by copyright under the laws of Australia. You may view Creative Riverina and its contents using your web browser. You may not distribute, reproduce, frame, transmit (including broadcast), communicate, adapt, sell, publish, alter, modify or create derivative works from any content on Creative Riverina except as permitted by statute or with our consent. You grant us a non-exclusive license to publish your content for the operation and promotion of Creative Riverina. Your content may be used for social media and print-based promotions for as long as you are a member of Creative Riverina. We will not have access to your content if you choose to deactivate your account. You warrant that you have the right to grant the above license, and the our exercise of the license rights above will not infringe the intellectual property rights of any third party, and that the content is not defamatory and does not breach any law. The Copyright Act of 1968 protects materials such as films, music, books and computer programs. You break the law if you download, copy, share or distribute this material, unless you are allowed to do so by the Act or you have the copyright owner’s permission. If you violate the Act or another Creative Riverina user’s intellectual property rights, we may have to cancel your service and the copyright owner could take legal action against you. To the extent that any terms of this agreement are inconsistent with any other terms displayed on individual pages of Creative Riverina, the other terms will govern to the extent of the inconsistency only. If we do not act in relation to a breach of the site terms by you, we do not waive any rights to act in relation to that breach or any later breach by you. This agreement and website terms are governed by the laws in force in NSW, Australia. You and we submit to the non-exclusive jurisdiction of the courts of NSW and waive, without limitation, any claim or objection based on absence of jurisdiction or inconvenient forum. Such information will not be disclosed, unless authorised by you or otherwise required by law. If you do not provide us with personal information that we ask you for, it may affect our ability to provide a service to you. This policy does not apply to information that you have provided us with explicit permission to publish on our website and associated media for the purpose of promoting your artwork, event or service on our website or associated social media.